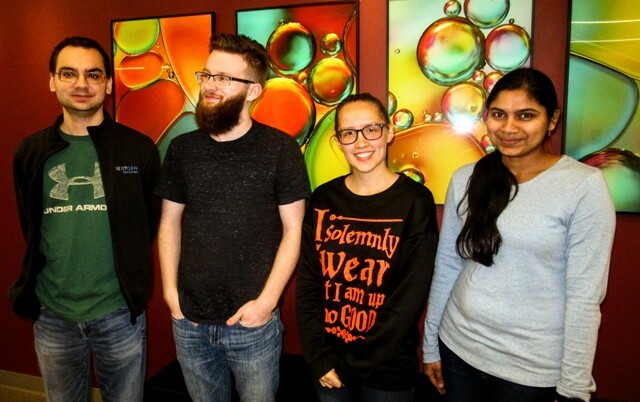 The group consists of PhD, undergraduate and high school research students. PhD student since summer 2010. M.S. 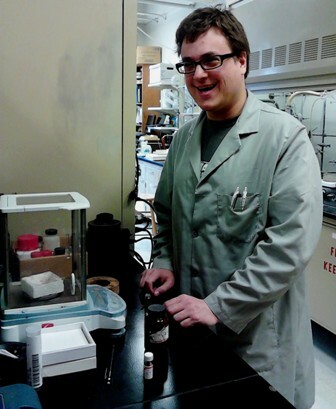 in Chemistry, University of Missouri - St. Louis, 2010. B.S. in Chemistry Knox College, 2005. PhD student since winter 2018. M.S. in Chemistry, University of Missouri - St. Louis, 2018. MS student since Fall 2018. B.S. in Chemistry, University of Missouri - St. Louis, Spring 2018. B.S. student in Chemistry since Fall 2018. B.S. in Chemistry, Southern Illinois University Edwardsville. M.S. in Chemistry, Saint Louis University. MS in chemistry fall 2016. B.S. in Chemistry, UMSL, 2013. M.S. 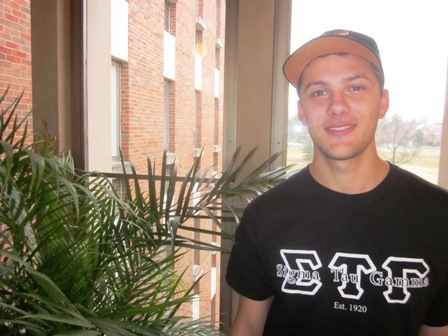 in Chemistry, Southern Illinois University Edwardsville. Now at CannaSafe, Los Angeles. 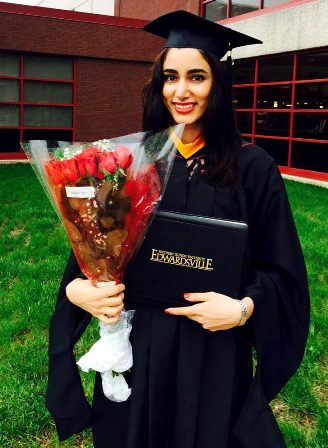 BS in chemistry at UMSL, 2016. 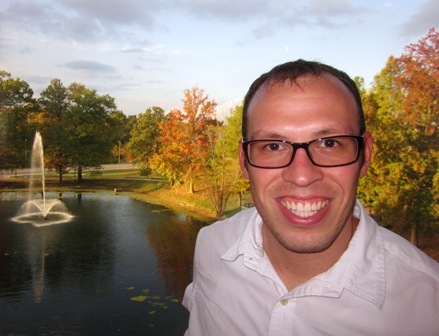 Now graduate student in the Department of Chemistry and Biochemistry at UMSL. 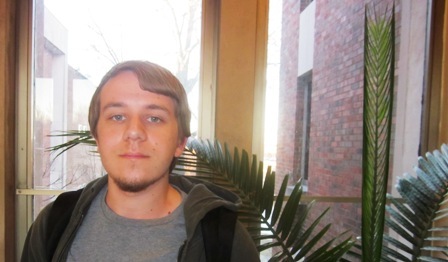 Undergraduate student at UMSL, chemistry major. B.S. 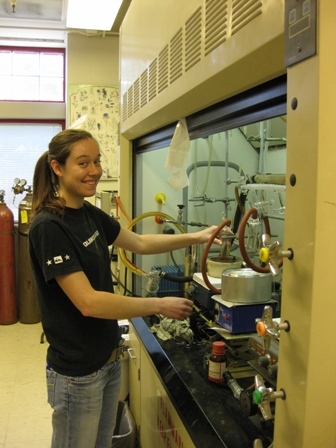 in Chemistry, University of Missouri - St. Louis, 2008. M.S. 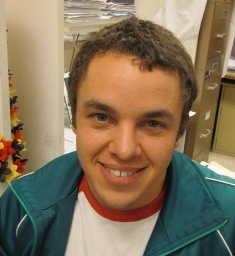 in Chemistry, 2010, University of Missouri-St. Louis. 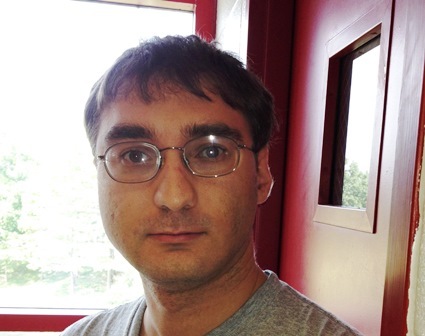 PhD in Chemistry, 2013, University of Missouri-St. Louis. M.S. in Chemistry, Ramnarain Ruia College, Matunga, India, 2005. Postdoctoral researcher at Hokkaido University, Catalysis Research Center. 2013-2015. Now postdoctoral researcher at at Tokyo University of Technology. I received my Bachelor's Degree from Ramnarain Ruia College, Matunga, India. I received my Master's degree from the same institution in 2005 when I was awarded a GOLD Medal for academic excellence. I am interested in Synthetic Organometallic Chemistry and joined the group in Oct 2008. Now PhD student at Indiana University Bloomington. High school research student Summer/Fall 2012. High school student at Wentzville Holt High School. High school research student Summer 2012. 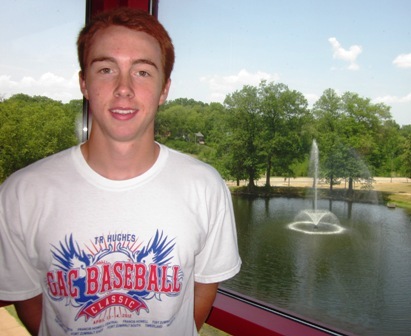 High school student at De Smet High School. 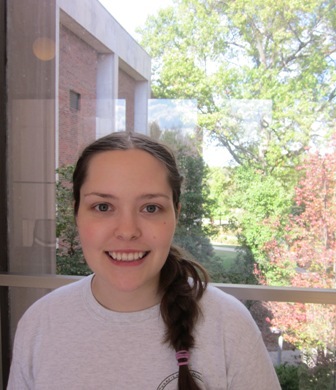 Undergraduate research student in spring 2012. Laboratory Volunteer fall 2011 - spring 2012. 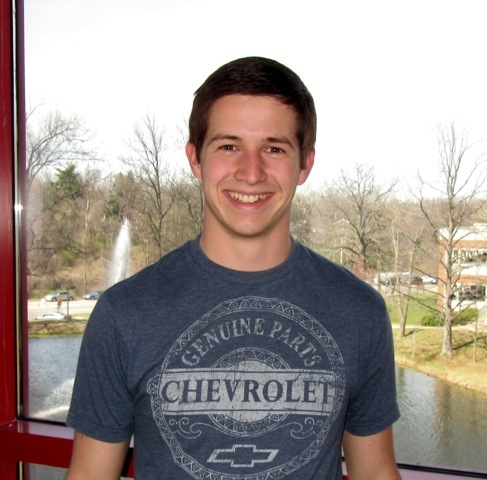 Biochemistry and Biotechnology Masters student at UMSL. 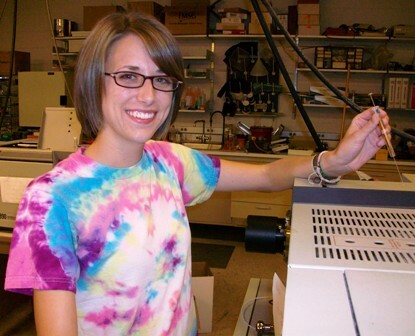 Ph.D. in Chemistry, 2011, University of Missouri - St. Louis. M.S. 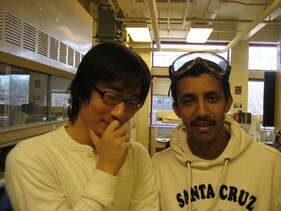 in Chemistry, 2009, University of Missouri-St. Louis. 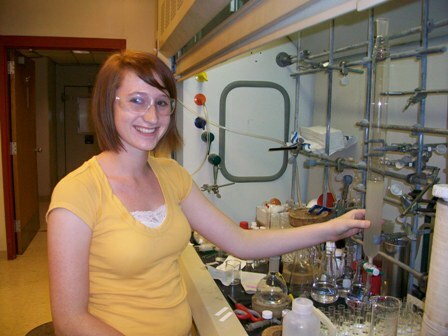 High school student, performed summer research in 2011 in our group within the Project SEED. 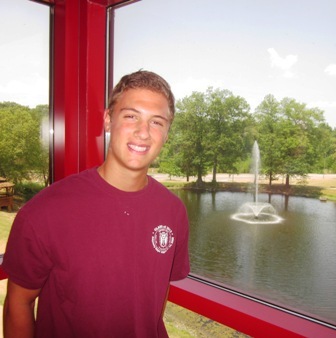 High school student at Wentzville Holt High School, performed summer research in 2011 within the STARS program in our group. PhD student since fall 2009. B.S. 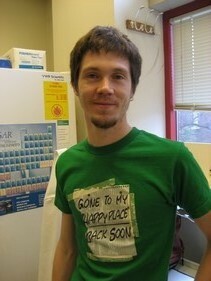 in Chemistry, University of Missouri - St. Louis, 2009. 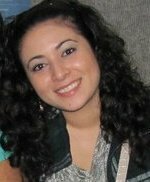 Postdoctoral researcher at Louisiana State University - Health Sciences Center 2011-2013. 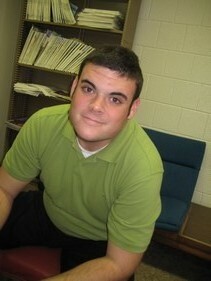 Now teacher at the Louisiana School for Math, Science and the Arts in Natchitoches, LA. 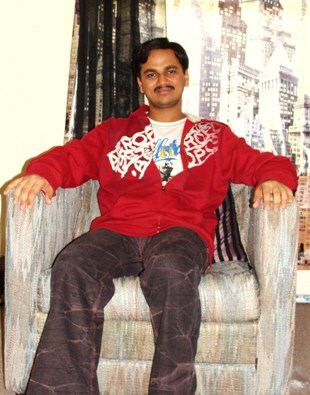 PhD in Chemistry, UMSL, 2010. B.S. 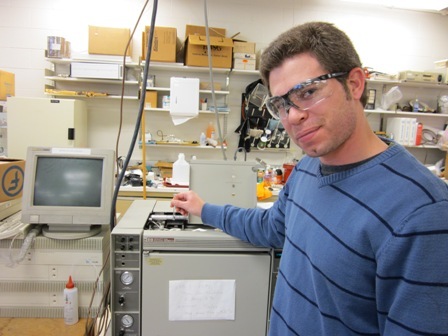 in Chemistry, University of Wyoming, 2006. 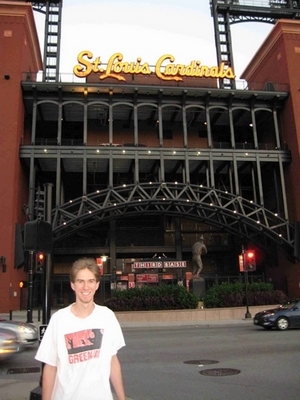 I grew up in St. Louis, moved to Wyoming in 1996 and returned to obtain my PhD at the University of Missouri - St. Louis. I did undergraduate research at the University of Wyoming for one year with Dr. Robert Corcoran. My research interests are organic and organometallic synthesis. 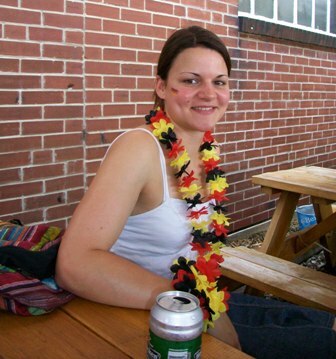 I graduated with a Diploma (equivalent of a Thesis Master degree) from the University of Cologne (03/2005-09/2009). I'm currently working on my dissertation in the group of Dr. Axel Jacobi von Wangelin in the Department of Chemistry after I finished my Diploma Thesis in December 2009. Diploma Thesis (03/2009-9/2009) - "Optimized reaction conditions for iron catalyzed cross couplings"
PhD Thesis (since 11/2009) -"Iron catalyzed cross coupling reactions"
I received a DAAD (Deutscher Akademischer Austauschdienst - German Academic Exchange Service) fellowship, which has enabled me to spend a research period of four months at the University of Missouri with Prof. E. Bauer (05-09/2010). 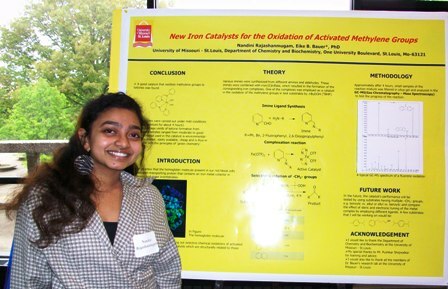 Undergraduate student at the University of Missouri - St. Louis, here presenting her poster at the 2010 ACS undergraduate research symposium at the Southern Illinois University Edwardsville. Student at Wentzville Holt High School. Tia performed in 2010 summer research with us within the STARS program. 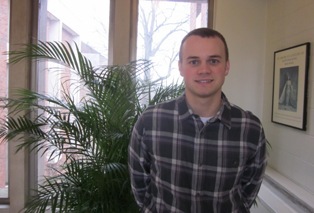 Undergraduate student at Westminster College, performed summer research in 2010 in our group. Intern. 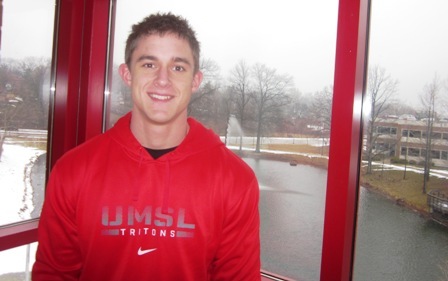 Graduated from UMSL in 2010. You are looking for a summer internship or PhD program? The Department of Chemistry and Biochemistry at the University of Missouri - St. Louis accepts applications for our Ph.D. program all year long. You also might contact me if you are looking for a position as an undergraduate researcher. Please send me an email.